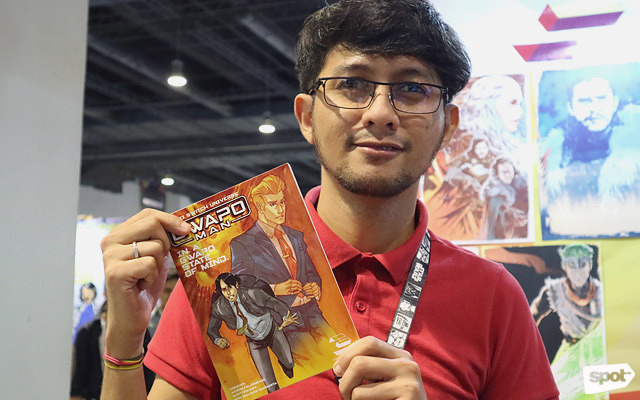 From a DC veteran to a Komikon founder. (SPOT.ph) Comic conventions are the perfect opportunities to get up close and personal with your favorite comic book artists, superhero creators, and actors from TV shows you binge-watched overnight. Whatever the fandom is—be it Marvel, DC, Star Wars, and so on—comicons are where big fans let their geek flags fly. 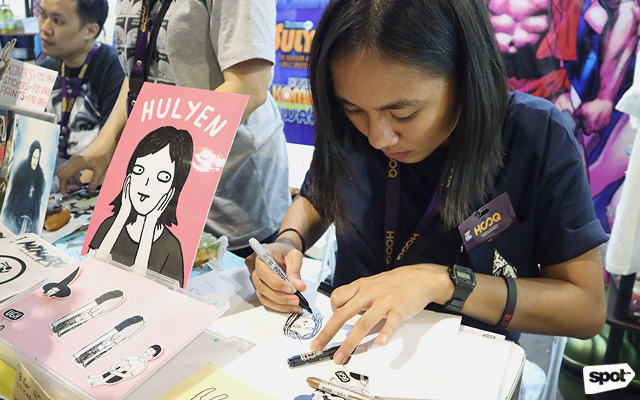 As we wait for the next comic books events, such as the Komiket in October and Komikon in November, it's a good time to familiarize yourself with the wealth of talent among local artists. We list down some of the most respected ones who are already making it big in the international scene to up-and-coming artists who deserve a second look. 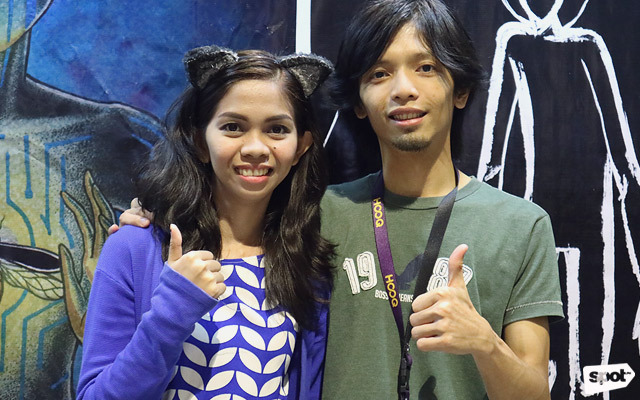 Together with her team from Nilay-Nilay Media (Francis Xavier Cruz, Rocky Manahan, and Francis Ely Anthony Reyes), Frannie Liza Reyes debuted her first comic book, titled Astrogenesis, at the AsiaPOP Comicon 2017. Astrogenesis is about a boy who gets transported to a dystopian future after he tumbles off a cliff. It will be sold in upcoming comicons and at Comic Odyssey. Cat-lovers are sure to love illustrator Marcella Suller's work. Drawing inspiration from her eight Siamese cats, her feline-themed illustrations are always infused with some pop-culture flavor. For comicons in particular, she makes fan merch inspired by her favorite shows like Riverdale and We Bare Bears, among other things. You can find her products at Common Room, Hey Kessy, and The Craft Central. 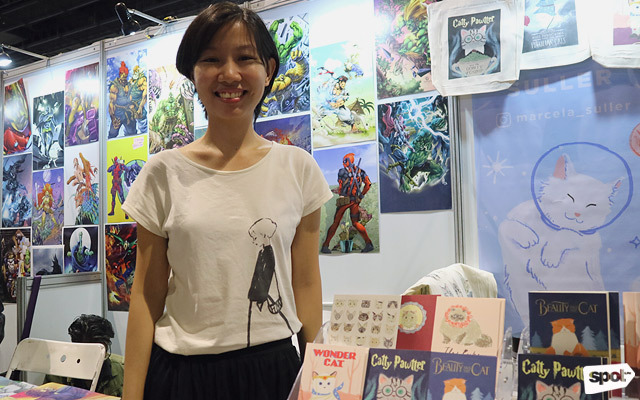 Her next stops are Komiket this October and Komikon in November. 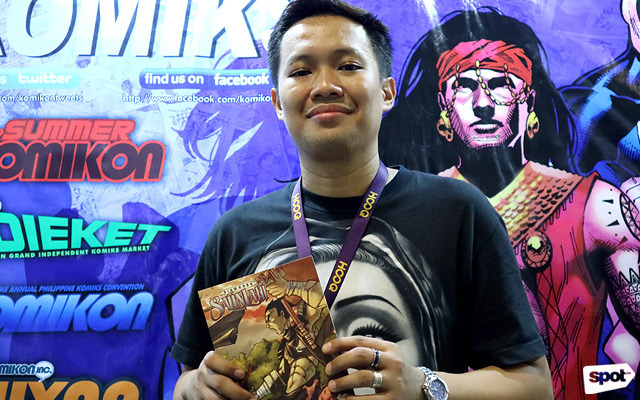 Besides being the organizer of one of the Philippines' biggest comic conventions, Komikon, Jon Zamar also has his own titles that promote Filipino mythologies, such as Digmaang Salinlahi and Codename: Bathala. According to him, Digmaang Salinlahi—which was inspired by his thesis—is loosely based on the Maranao epics on Indarapatra and Sulayman. In addition to gearing up for Komikon, he is planning to finish a new arc for Codename: Bathala and a new story for Digmaang Salinlahi. Dadivas released Beyond Volume 2, a collaborative work with female artists Mika Bacani and Rian Gonzales with illustrations made entirely using an iPad. She will launch her Ugh comics collection this November at Komikon. Digital painter, illustrator, and comic-book artist Raymund Lee uses realistic style to illustrate stories and humanize his protagonists. He describes his work as "fantasticalicious." Lee is the mind behind Blood and Dust, a horror story about a reluctant vampire named Judd Glenny who wants to shield his family from society. His works also consist of superheroes as normal creatures, without the glamour of their capes and superpowers. "It's very usual to see superheroes with superhero nature—flying, jumping, kicking. I want to [take] characters down a notch," he tells SPOT.ph. Wan Malinao Mañanita is a graphic designer by day, but does comic books for fun. In 2013, he released Ang Morion, which is based on the Moriones Festival in Marinduque. 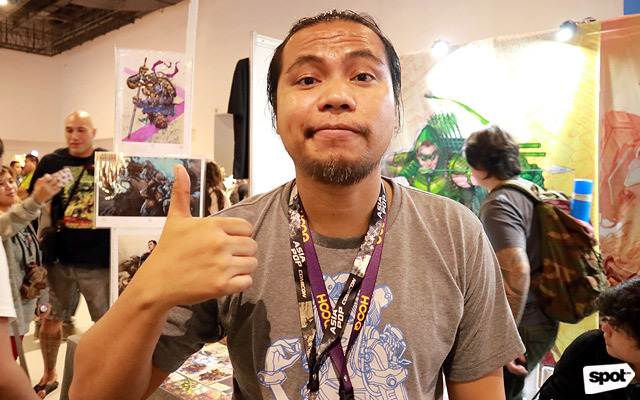 He is the co-founder of Frances Luna III, a group of comic-book creators who do exclusive prints and art commissions during comic conventions. Comic artist Whilce Portacio started in 1985 as an inker for the Marvel classic Longshot, and became a headline penciller in 1988 for The Punisher. He later created American comic book series Wetworks with writer Brandon Choi in 1994, and local book Stone, which was inspired by Filipino myths, in 1998. Portacio now freelances for Image, Marvel, and DC, with works on various books such as Spawn, The Incredible Hulk, Uncanny X-Men, among others. 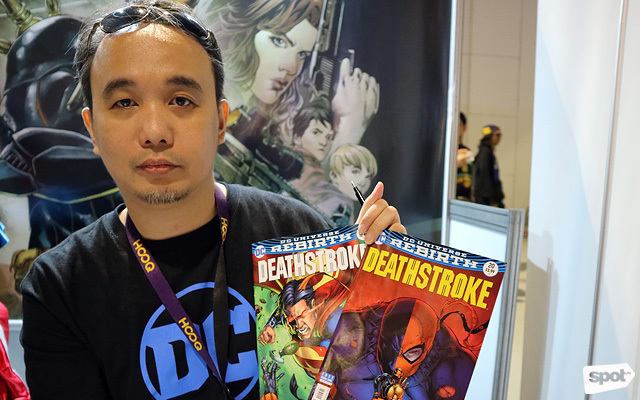 DC Comics interior artist and penciller Carlo Pagulayan describes his style as realistic. He says that a successful comics book comes from a collaborative effort between the writer and the artist—where a writer describes the scene on paper and the artist fleshes it out from there. He is known for DC comic series Deathstroke and is currently working on an issue of Wonder Woman, slated for release by the end of September. 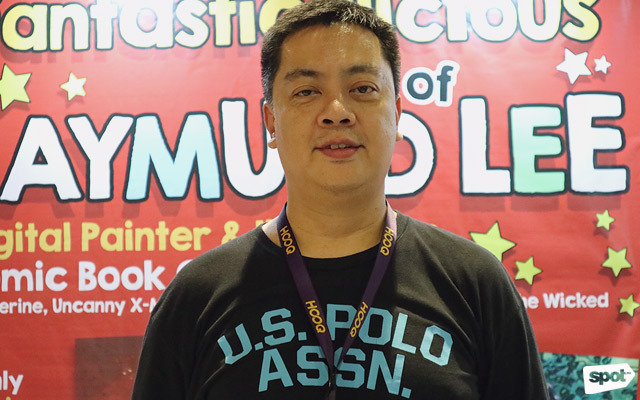 Quiccs may not be a comic book creator, but his art—designing toys that are not for kids—is already gaining global recognition. 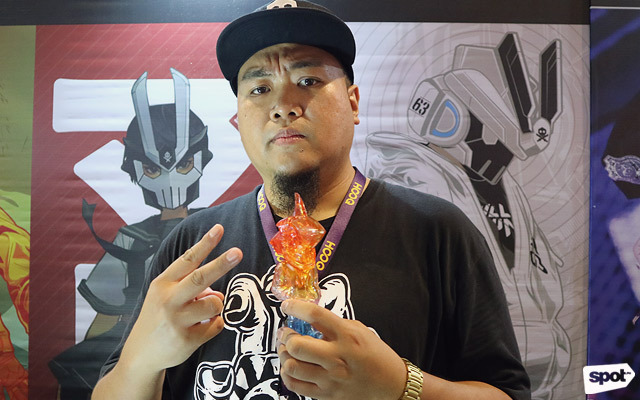 For his first Manila comicon, he displayed some of his best vinyl toys including the Forbidden TEQ63 and the exclusive Sharko and Remi: Battle of Manila Bay inspired by the colors of the Manila Bay sunset. 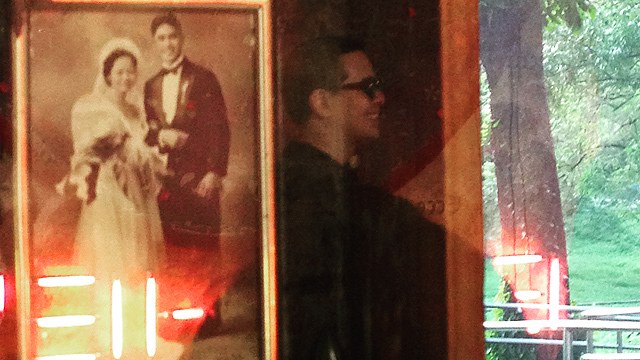 You can see his creations at the Secret Fresh Gallery in San Juan. Bukidnon native Harvey Tolibao is the man behind the amazing illustrations in the recently released Jean Grey #4, X-Men: Psylocke, and Transformers Regeneration One. He has a rich background as a comic artist, having worked for Marvel, DC, IDW, Valiant Comics, Dark Horse, Aspen, and Zenescope since he started in the industry in 2006. 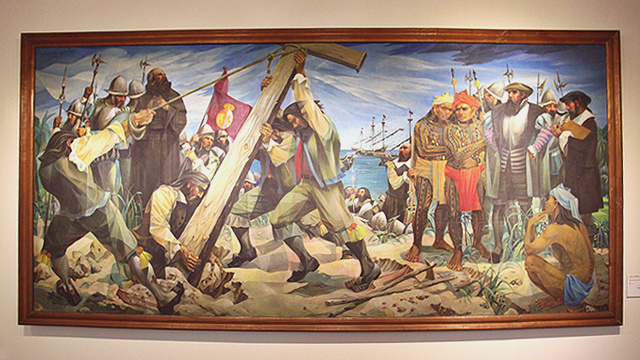 His trademark is to put surprising details and a touch of Filipino culture in his work. An example of this is Ninoy Aquino popping up in an issue of Avengers titled The Initiative - Secret Invasion. 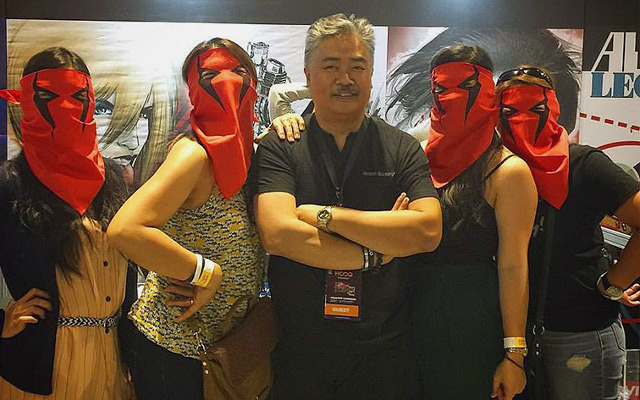 Tolibao is also the creative director and co-founder of HMT Studios Manila, which he reveals is brewing an idea for a Filipino superhero to be officially revealed soon.